Is Germany playing a double game? Is the price for saving the Eurozone too great to bear for the other members? German chancellor Angela Merkel has called on Europe to “take one big step towards fiscal union” as the price for the European Central Bank's intervention to rescue the weaker member nations. Each Eurozone member has to decide "Yes" or "No" swiftly, whether it considers Germany's terms acceptable. Given the difficulty of complying at short notice, some distinguished ATCA 5000 members wonder privately if Dr Merkel is suggesting one way forward to the Eurozone members, whilst preparing vigorously for Germany's exit on the other hand? 3. The centralised EU body is to be armed with intrusive powers of scrutiny and dealing out automatic penalties. Considering the immediacy of the present Eurozone crisis, is it likely that the volatility of the global financial markets could be addressed adequately via the present German plans? Even if the Eurozone members would like to accept the German plans, would they be prepared to pay such a high price demanded of them? Given the unique cultural, social and economic attributes of Eurozone member nations, is it even plausible to assume that they could be united in the manner proposed by Germany? This seems highly unlikely to many distinguished members of the ATCA 5000. Dr Merkel also wants to rewrite the euro rulebook by reopening the Lisbon Treaty, meaning a negotiation amongst all 27 EU states that would also involve the European parliament and the European commission. Given the enormous complexity of this proposed reformation, coupled with the existential crisis of the Eurozone at present, this would suggest that the entire process may not be achieved in time to save the euro and is therefore utterly implausible. Given the German reputation for "gründlichkeit" or thoroughness, is Germany really preparing for something else? Is all of this just a big red herring? Reliable media sources have already published reports that Germany has contingency plans in place to exit the Eurozone quickly and resurrect the Deutschemark including the issuance of paper currency. Many distinguished members of the ATCA 5000 have expressed grave reservations in private in regard to the solidity, viability and sincerity of the German proposals because they appear at one level to be designed to fail. The failure of adoption of the German plans across the Eurozone member nations could feasibly be construed by Germany as a justification for their exit. 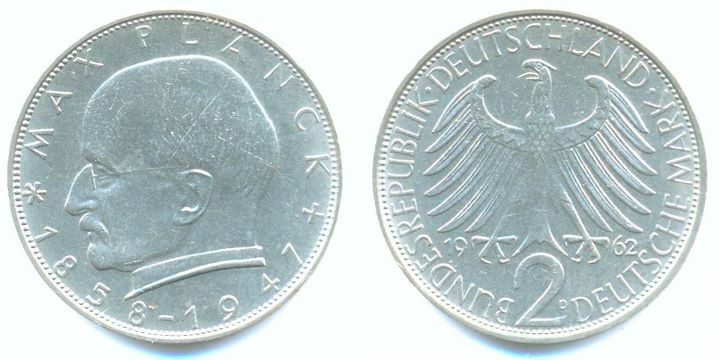 As a result, Germany could attempt to abandon the euro and resurrect the Deutschemark without incurring blame. They could even turn around and claim that they have clean hands and it was a fault of the weaker members of the Eurozone that various nations refused to participate in full financial integration that would have paved the way to save the Eurozone. Thus, all blame could be cast on the weaker members of the Eurozone. Berlin continues to insist that there should be automatic punishment for countries in breach of the newly proposed rulebook. In fact, Dr Merkel has said that the European Court of Justice should be enabled to impose sanctions upon a country whose fiscal discipline does not measure up. At present, the Germans argue that the problem that needs to be solved first is the following: Eurozone members countries have signed on for conditions to which they have not adhered and this causes a lot of angst for countries who are providing the loans such as Germany. It remains to be seen why any Eurozone member nation would like to be subjected to automatic summary punishment. In parallel, French president Sarkozy concedes that Europe's debt crisis and the collapse of confidence in the currency means that France may have to surrender some of its sovereignty under a new punitive regime of fiscal discipline. In reality, the French establishment is unlikely to back the full surrender of France's sovereignty to German diktats. When push comes to shove, if Germany resurrects the Deutschemark, France may be left with no choice other than to resurrect the French Franc to avoid double digit inflation. There are rising concerns in Ireland, amongst other Eurozone nations, that German chancellor Merkel and French president Sarkozy's calls for fiscal union to deal with the euro crisis may cause the loss of national independence, judicial accountability and democratic sovereignty. In response to the German plans, parliamentarians in Ireland have called on prime minister Kenny to “assure the House that he will never put any referendum to the Irish people that permanently hands over economic and fiscal sovereignty to any external European body”; and to assure “that [he] will not countenance any talk or quid pro quo of any change in the 12.5 per cent corporation tax rate” which is a competitive advantage for Ireland over other European nations. Some of the smaller Eurozone nations such as Portugal, Ireland and Greece are concerned that they will be required to surrender their sovereignty and independence to the bigger European nations and fiscal union will come with a straight jacket of draconian rules for fiscal discipline imposed by Germany on the rest, in what may look to their voters as indistinguishable from a German Fourth Reich. Referring to EU negotiations on resolving the Eurozone crisis, many parliamentarians across Europe, some of whom are distinguished members of the ATCA 5000, are warning that euro nations would face treaty change and could be surrendering sovereignty in the process of sleep-walking to save the euro. Several national constitutional courts are likely to over-rule any surrender of freedom, fortune and sovereignty including budgetary oversight and German diktats on tax regimes. Mario Draghi, the new head of the European Central Bank (ECB) has supported the German view while hinting that the ECB could become more active on the bond markets once the new regime was agreed but only if that was the case. Since there are many doubts that the new fiscal regime could become actualised, the ECB offer is lame for all intent and purposes. Many ATCA 5000 distinguished members question the genuineness and sincerity of the ECB offer. 1. The summit on December 9th is being billed as Europe's last chance to secure a future for the euro. It would appear that Germany could be playing a multi-faceted game to mitigate the blame that it could potentially get if things go wrong and the Eurozone crisis escalates because the ECB is unable to print trillions of euros. Should the Germans wish to abandon the Eurozone and resurrect the Deutschemark, they could potentially have a convenient excuse to blame the weaker member nations for not agreeing to a common fiscal policy that would have pre-empted their departure and given the green light to the ECB to mount a rescue of the Eurozone. 2. The deal to be discussed by EU leaders next week would have weaker EU countries “concede fiscal union.” All the signs are that Berlin and Paris are determined to coin a common plan but remain far apart on the essentials of that plan, as indeed do a number of Eurozone countries that are shy to surrender sovereignty, fiscal budget oversight and control of their national tax regimes. 3. Apart from a democratic deficit, which greater fiscal integration would create, the amount of time left is too short now to get the fiscal union put into place to address the Eurozone crisis immediately. Chancellor Merkel herself concedes that agreement on a fiscal union will be a multi-year process. Can global financial markets wait that long? Is Germany playing a double game? 4. It is plausible that the December 9th European summit leads to an agreement in principle amongst some eurozone member nations. This may be sufficient for Germany to give the green light to the ECB to rescue those specific nations. However, the consequences of such an approach would inevitably result in a two tier Europe. Those member countries that refuse to agree with German "financial integration" plans, will find that their capacity to access the capital markets will become disabled and then step-by-step they will be left with no choice other than to default and perhaps exit from the Eurozone. Amongst those nations that agree to become part of the ECB-protected Eurozone, ie tier-1, it remains to be seen whether their parliaments would ratify their leaderships' agreements "en principe". 5. The announcements leading up to the December 9th summit, as well as its outcome, will pave the way for a break-up of the Eurozone unless all 17 members agree to the severe terms and conditions imposed by the Germans. To many distinguished members of the ATCA 5000, it would appear to be highly unlikely that the financial markets will remain stable, even until December 9th, if the announcements before then run counter to the fiscal integration pact.